This is the latest artwork to emerge from the studio: Pod. It features three wheelthrown, manipulated, burnished and sawdust fired ceramic forms, woven into a pod-like structure made from willow, eucalyptus, bark and jute. I love combining natural materials with ceramics,as they compliment each other so well. 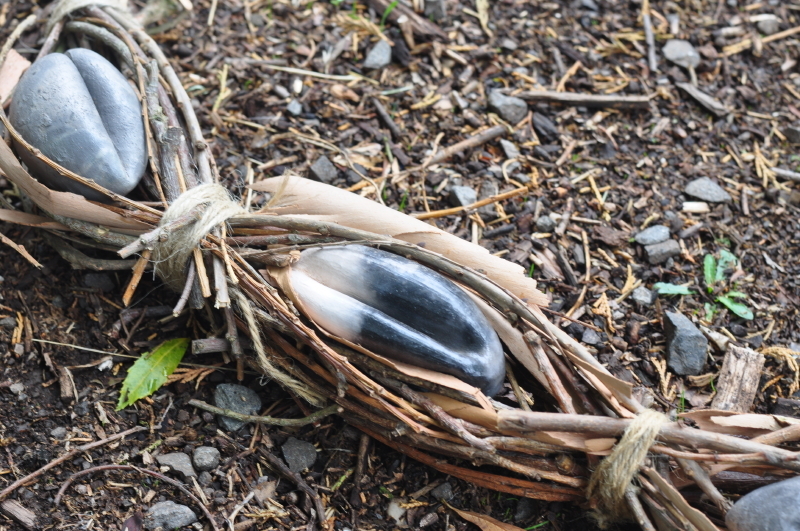 Pod explores the natural environment, and via its interweaving construction the interconnection of human relationships and what they mean in the twenty-first century. 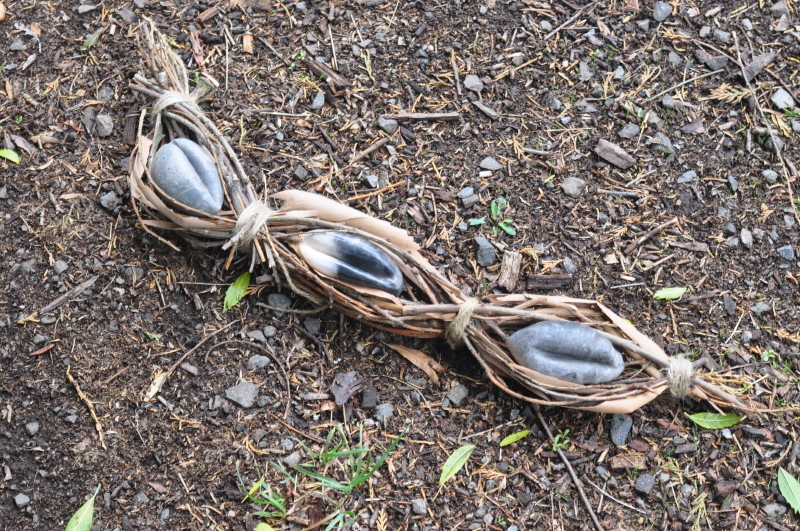 The sculpture is made of small seed pod symbols made of clay fired in a pit dug into the ground and eucalyptus bark and small branches embracing the pods signifying the interwoven environment in which we live. An impressive piece of work with a strong narrative. I agree w/Pete. Also, you create such a variety of work, but this vein / genre is my most favorite. This piece is magnificent, Dawn (and underpriced!) It’s worth much more in my eyes.